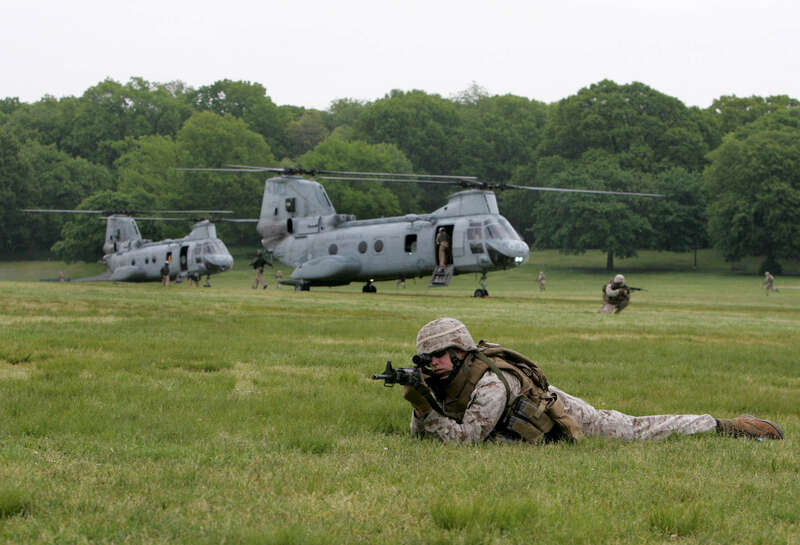 United States Marine Corp perform a raid demonstration at Cunningham Park located at Union Turnpike and Francis Lewis Blvd. in Queens on May 22, 2008. The US Marine Corp Demonstration is part of the Fleet Week events and activities.